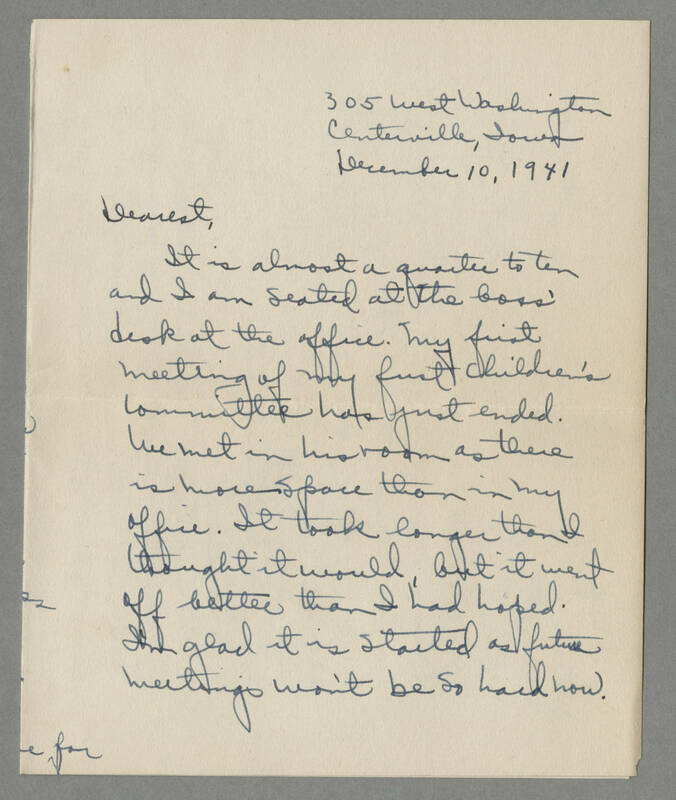 305 West Washington Centerville, Iowa December 10, 1941 Dearest, It is almost a quarter to ten and I am seated at the boss' desk at the office. My first meeting of my first children's committee has just ended. We met in his room as there is more space than in my office. It took longer than I thought it would, but it went off better than I had hoped. I'm glad it is started as future meetings won't be so hard now.